It was hard to believe that our journey on the river was over. It seemed like so long ago that we left Amsterdam. It had been 2 very full weeks of sightseeing and experiencing 5 different countries. Check-out time on the boat was 9:00 am. A short time later we were in a taxi navigating through narrow streets to our hotel. 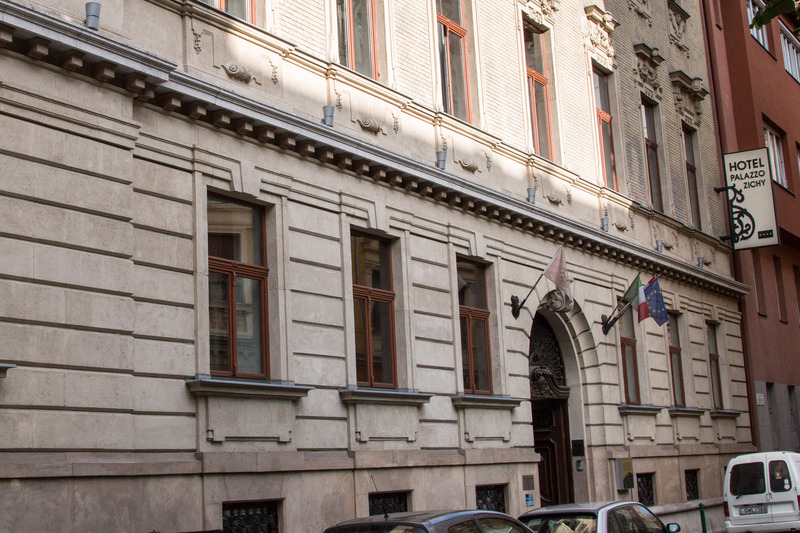 The Hotel Palazzo Zichy turned out to be a very nice hotel: close to restaurants, subway and various attractions. 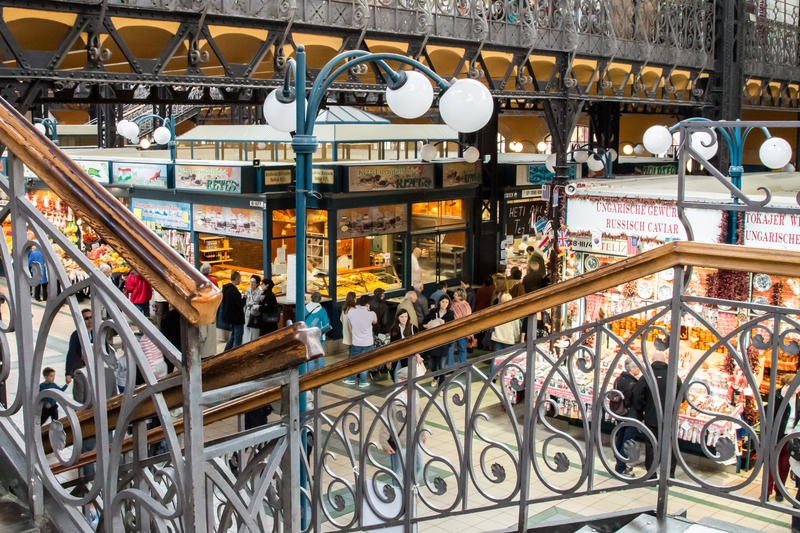 Once checked into the hotel we met up with Rick, Linda, Wendy and Brent and walked over to the market which was located in a beautiful old train station. While it was quite interesting to see, Susan and I weren’t in need of purchasing anything so we opted to go across the street to a cafe for a coffee. It was very pleasant sitting in the sun (something we hadn’t been able to do much of in the past 2 weeks) and sip on our coffee. After enjoying our coffee and strolling around the neighbourhood a bit, we rejoined the others to walk back towards our hotel. 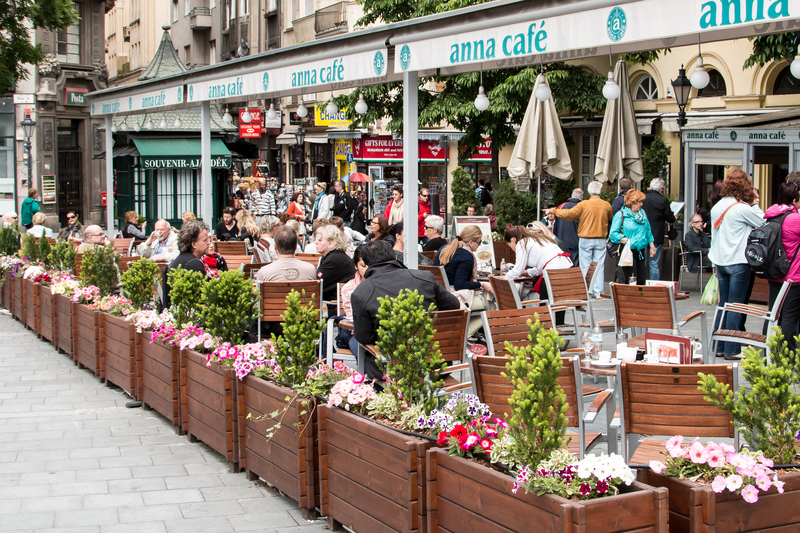 We found a nice outdoor cafe in a square near our hotel which proved to be a great stop for lunch. Their tomato soup was amazing! Following lunch we had a chance to relax for the balance of the afternoon back at the hotel. With several of us feeling the effects of colds/coughs, the rest was good. In early evening we met up with Rick and Linda and headed off to the Jewish Quarter in search of a restaurant that Rick had heard about. 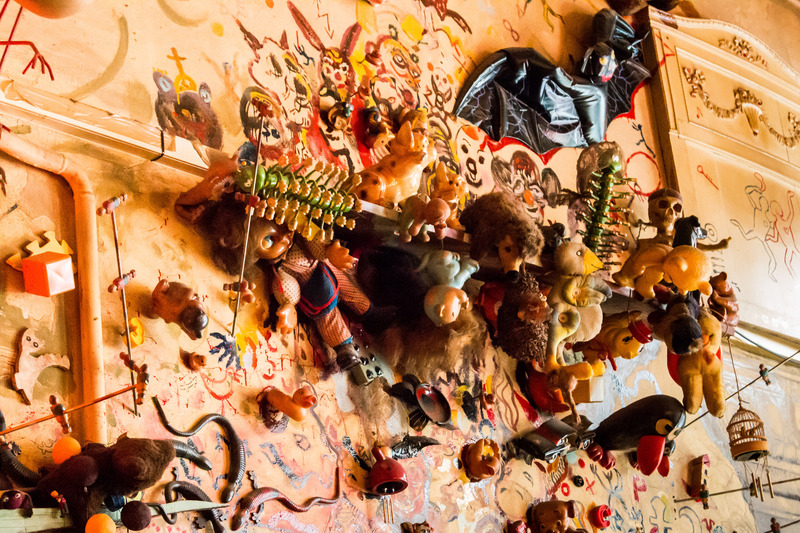 We never did find that restaurant but ended up at Macesz Huszár which proved to be a wonderful alternative. The restaurant served traditional Hungarian Jewish cuisine and I would definitely recommend it to anyone. Sunday morning found us catching the subway to Heroe’s Square to visit the Museum of Fine Art which is located on one side of the square. 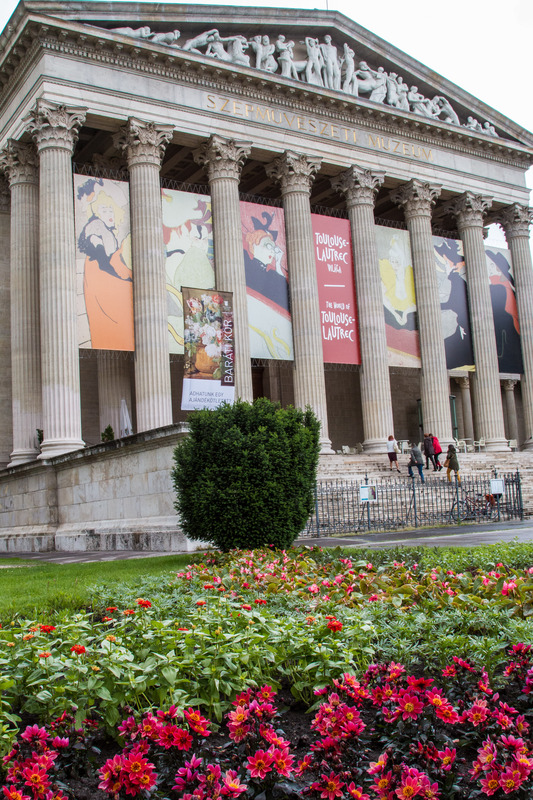 The featured exhibition was a display of the works of Toulouse Lautrec. It was well worth the entry fee! We also explored the second floor of the gallery before succumbing to a bit of “art overload” and deciding it was lunchtime. 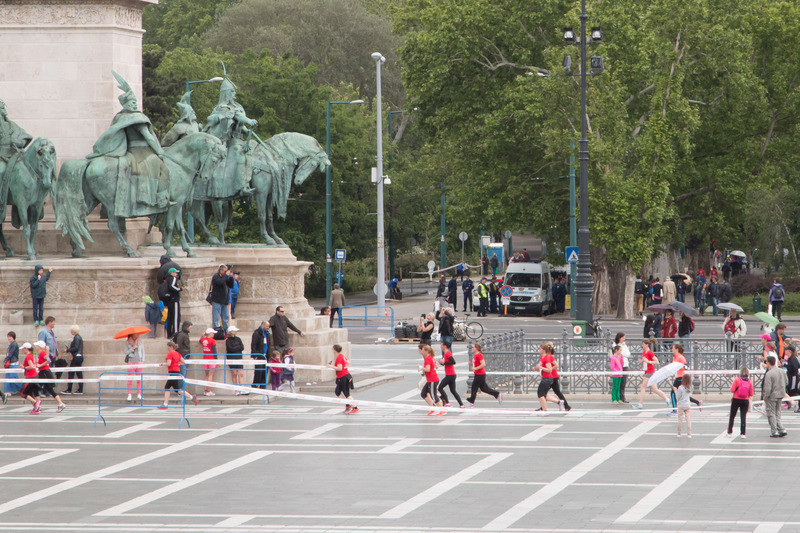 As we exited the gallery we watched the tail end of a steady stream of runners in a cordoned off lane through the square. They were competing in various distances in the Budapest Women’s Gala. Following lunch at a nearby Italian restaurant we spent a bit of time wandering about in the park adjacent to Hero’s Square. The park was quite beautiful and fairly large so we only really saw a portion of it. We took the subway partway back to the hotel, electing to walk the balance of the way. About halfway from the subway station to the hotel it started to rain. We ducked into a funky little pub to wait out the shower (and of course to have something to drink). With the rain ended we only had a short walk remaining back to the hotel. Dinner was at a nice little Hungarian restaurant close to the hotel. 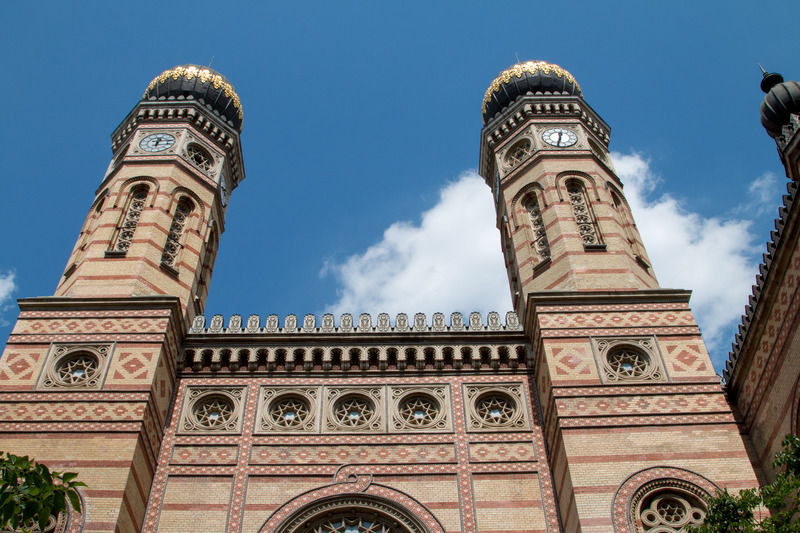 Most museums are closed on Mondays in Budapest so we decided that a visit to the Dohany Street Synagogue was in order. 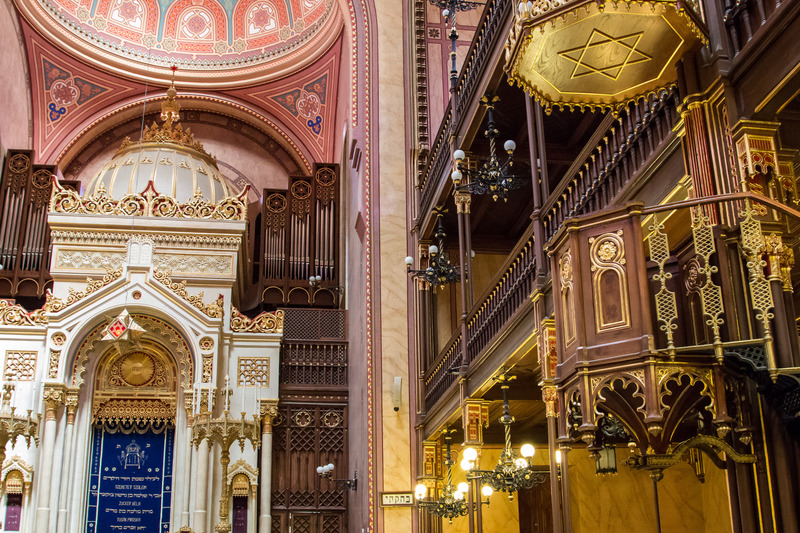 It is the largest synagogue in Europe and the second largest (or largest) in the world next to the one in New York City – depending upon whether you are talking about size or the number of seats. 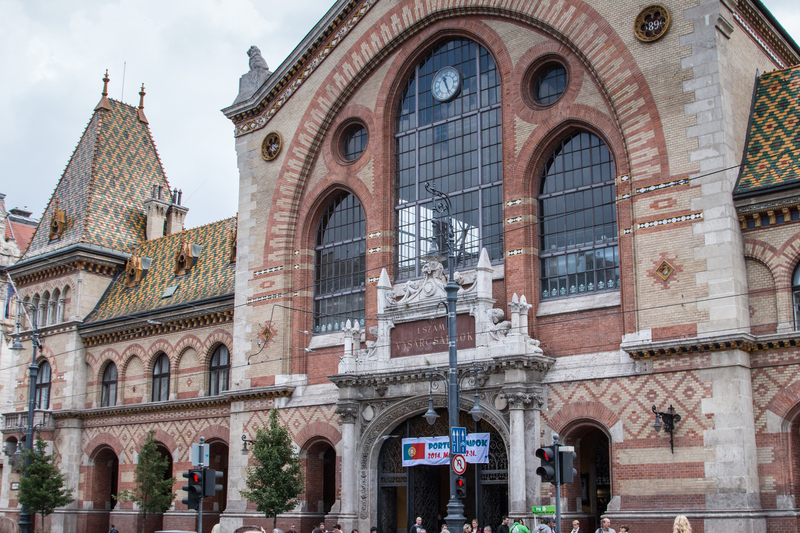 When we got there we discovered that we could buy a ticket for a combination of a synagogue tour and a walking tour of the Jewish Quarter. It turned out to be a great deal. 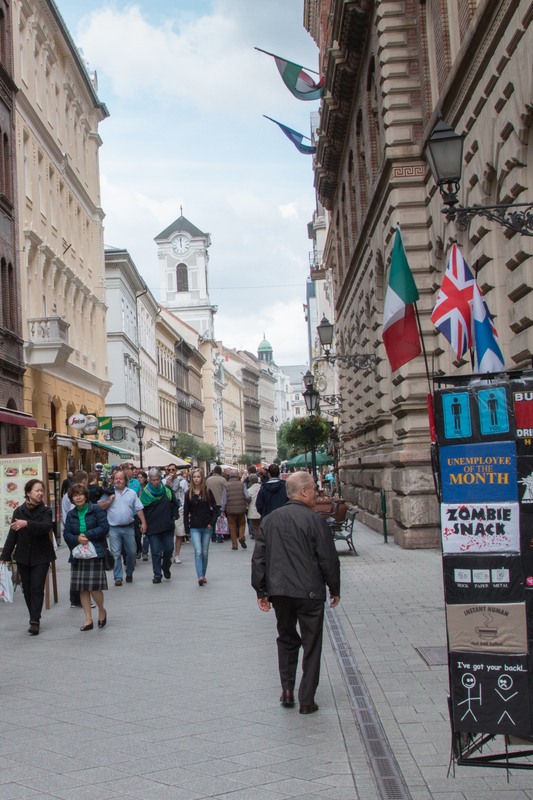 The walking tour, a good hour or more in length, concentrated mainly on the area that was the Jewish Ghetto in WW II. It included a visit to an orthodox synagogue. Having never been in a synagogue before it was quite interesting to visit two of them and see the differences between them. 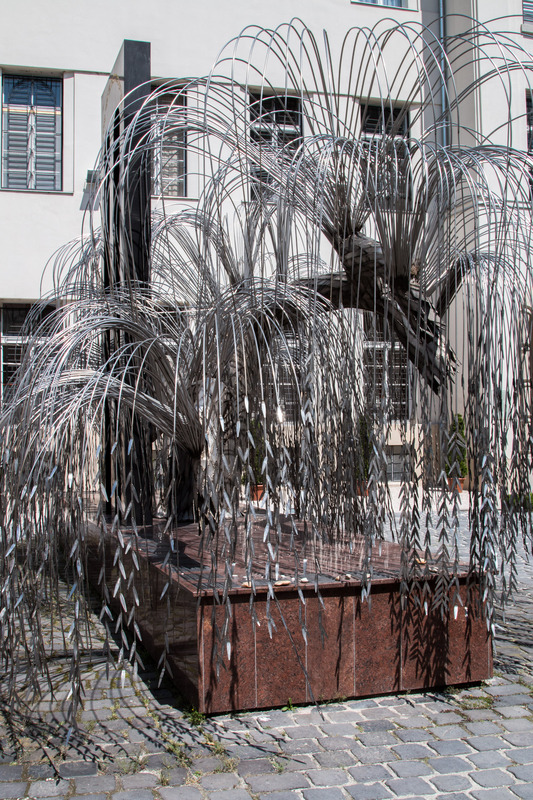 The tour of the Dohany Synagogue also included the Jewish Museum, cemetery, and Raoul Wallenburg Memorial Garden. A Swedish Envoy to Budapest, Wallenburg is credited with rescuing tens of thousands of Jews by giving them Swedish passports and harboring them in buildings designated as Swedish territory. 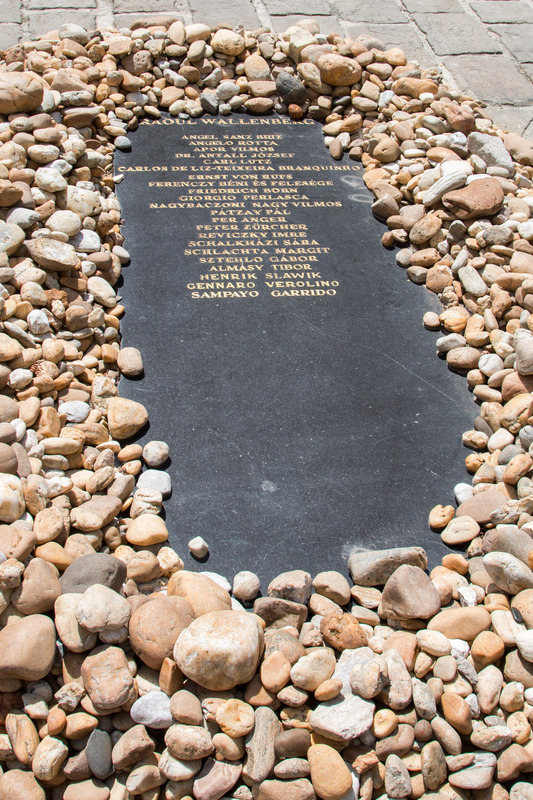 The garden also includes a memorial to the Jewish Victims. 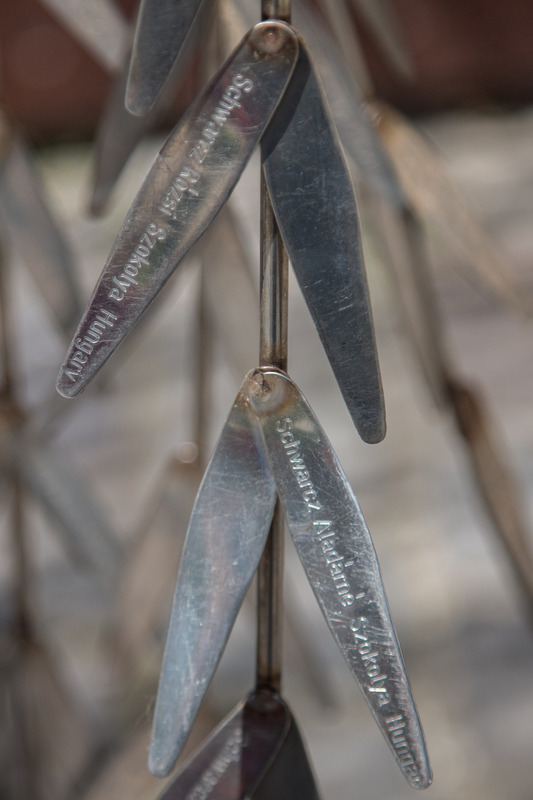 A sculpture in the shape of a weeping willow tree, on each leaf is inscribed the name of a victim murdered by the Nazis. Lunch was a the square near our hotel and dinner, with Rick and Linda, was at another little restaurant nearby. The next morning we would be flying back home so it was nice to enjoy a relaxed dinner with friends on our last night of our European holiday. 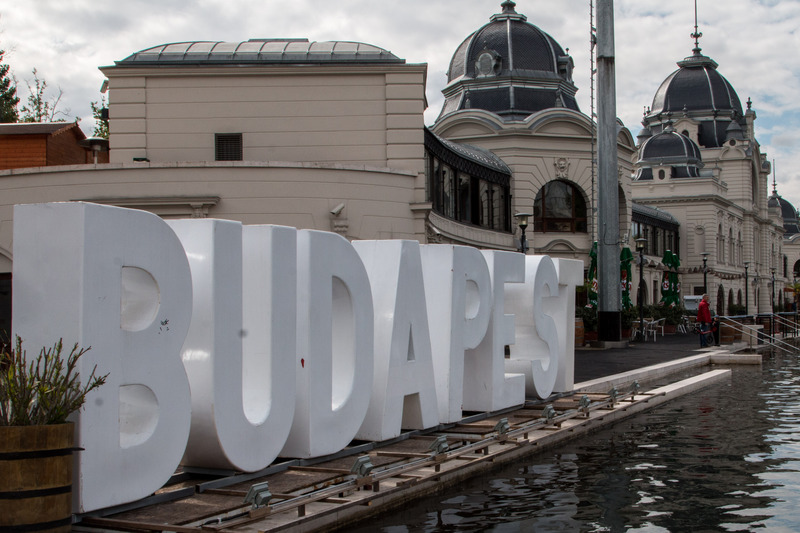 Our time in Budapest was fairly laid back. 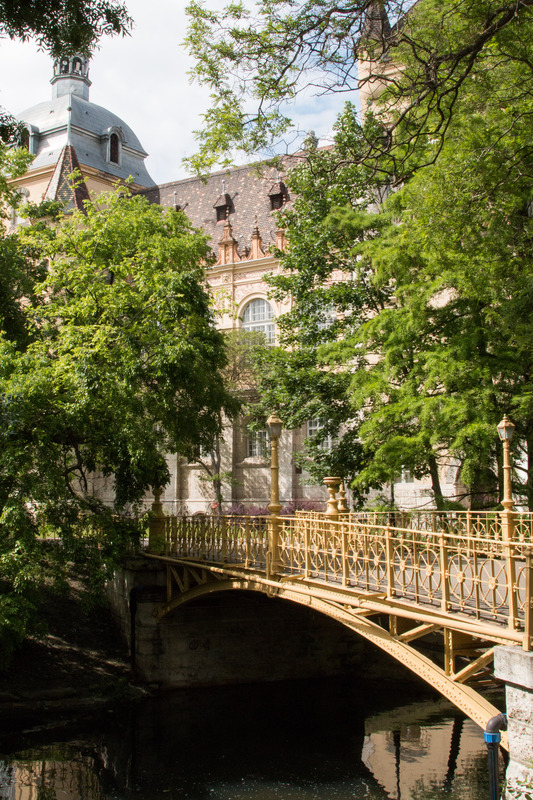 We chose to visit a few attractions at a relaxed pace rather than trying a whirlwind visit of every site we could in the 3 days we had in this beautiful city. It proved to be a nice way to end our trip. 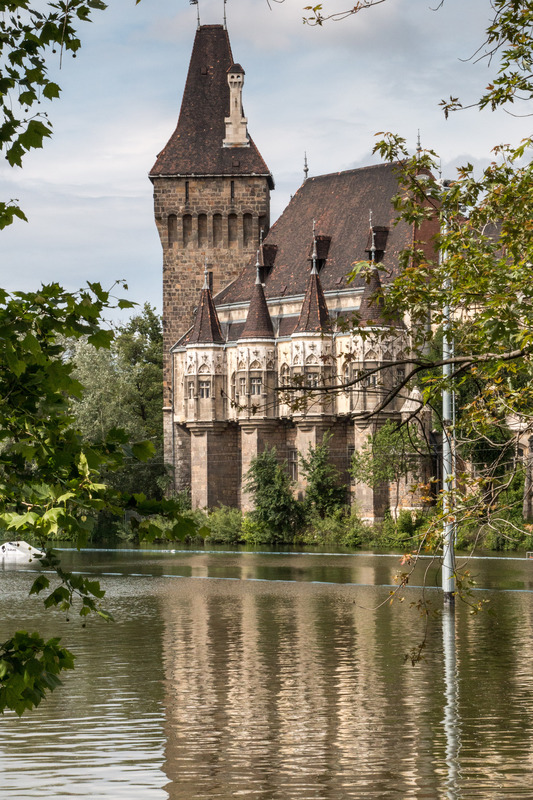 For those contemplating a river cruise for the first time, my advice would be to stop contemplating and just do it! You won’t be disappointed. It is a great way to travel! 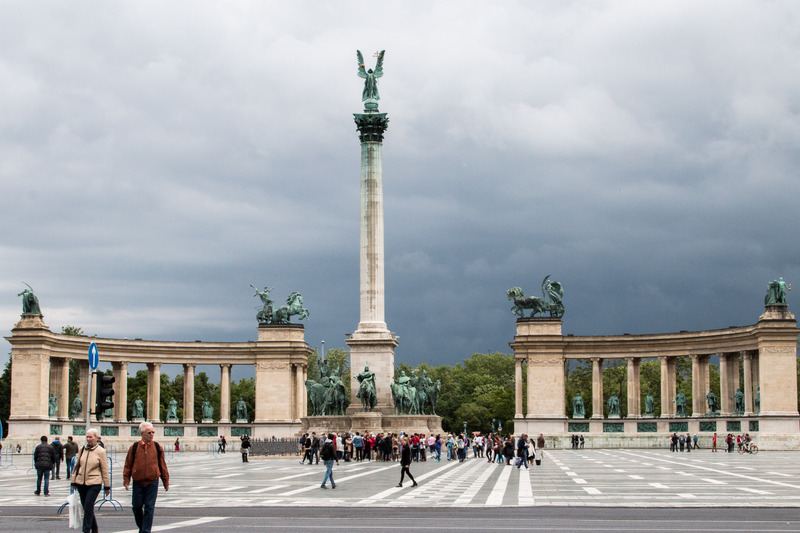 This entry was posted in Travel and tagged Budapest. Bookmark the permalink.